With the release of the Harry Nilsson Biography and a new box set of Nilsson’s recordings, Harry Nilsson is receiving numerous mentions in the news and other media. 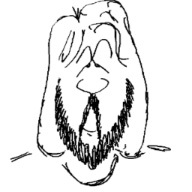 Douglas Wolk illustrates his overview of Nilsson’s career and it’s affect on others, The Surprising, Lasting Influence of Harry Nilsson, at mtvhive.com with videos of Nilsson and others performing Harry’s songs. On August 6, Jane Fonda talked with Jimmy Fallon about Harry Nilsson’s Nilsson Schmilsson album which was produced by Fonda’s boyfriend, Richard Perry. Geoff Edgers talked with Van Dyke Parks and Lee Blackman for his August 3 Boston Globe article, Harry Nilsson gets star treatment in new set, book. Edgars also appeared on WBUR’s Radio Boston show to talk about Nilsson (Rediscovering Musician Harry Nilsson). Sean Fennessey describes Nilsson as “the great lost music genius of the 1970s” in his grantland.com article Deconstructing Harry (August 2). Ben Greenman lists “The Ten Best Lesser-Known Nilsson Songs” in his July 30, New Yorker article. This entry was posted in Albums and Songs, Biography, Movies and TV, Uncategorized and tagged boston globe, harry nilsson, jane fonda, jimmy fallon, news by Roger. Bookmark the permalink. Do you know? Did the popularity of the new box set and/or RCA cause fortheloveofharry.blogspot.com to go away? It’s now “invitation only” if I go to that url, but I have no idea how to get an invite! Hi Roger – we seemed to have lost touch. Wow so much Harry related is happening right now its a bit overpowering. Glad everyone is catching up. Currently enjoying the box set and biography. Hope you are doing well. Love the new site – took me a while to track it down.